The English edition of this book is available on Amazon. A preview (introduction + chapter 1) can be downloaded here. 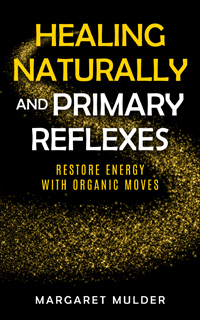 Our nerves react to all stimuli of these hectic times; Learning and behavioural disturbances, ADD, ADHD, M.E., burn-out, depression, problems with pregnancy, or panic attacks can be caused by uninhibited Primary Reflexes. Initiated from the brainstem, they disturb the functioning of our brain and body, causing chronic stress. When a baby does not inhibit his Primary Reflexes, he will have to cope with an unsettled, often run away nervous system for the rest of his live, giving energy draining stimuli to his body. This occurs quite often. As this phenomenon happens automatically and is unknown to most people, the search for a solution in medication or extra exercises is often fruitless. Fortunately Primary Reflexes can still be inhibited painless and medicine free. Disturbances in children and adults will vanish into thin air and vitality returns.